Construct an 800-member Army Reserve Center (ARC). Primary facilities include construction of a 45,000 SF 2-story ARC Training Building, POV lot, wash rack, 25,000 SF Pre-Engineered Metal Building (PEMB) Unheated Storage Building, and 10,000 SF single story building for Operational Maintenance Shop. Buildings will be of permanent construction with reinforced concrete foundations, concrete floor slabs, reinforced concrete or masonry walls, low-slope roofs; heating, ventilation and air conditioning (HVAC); and plumbing, mechanical, security and electrical systems. Supporting facilities include land clearing, paving, fencing, general site improvements; and physical security measures will be incorporated into the design including maximum standoff distances from roads, parking areas and vehicle unloading areas. Sustainability/Energy measures will be provided. Facilities will be designed to a minimum life of 40 years in accordance with DoD’s Unified Facilities Criteria (UFC 1-200-02) including energy efficiencies, building envelope and integrated building systems performance. “Cox Construction is a high performing general contractor. They are very familiar with their QC Plan and contract requirements. They provide accurate daily reports, photos, and keep an extensive/up-to-date list of action items in the field that for any possible outstanding items. Their quality control reflects their knowledge of the plans and what the specifications require. 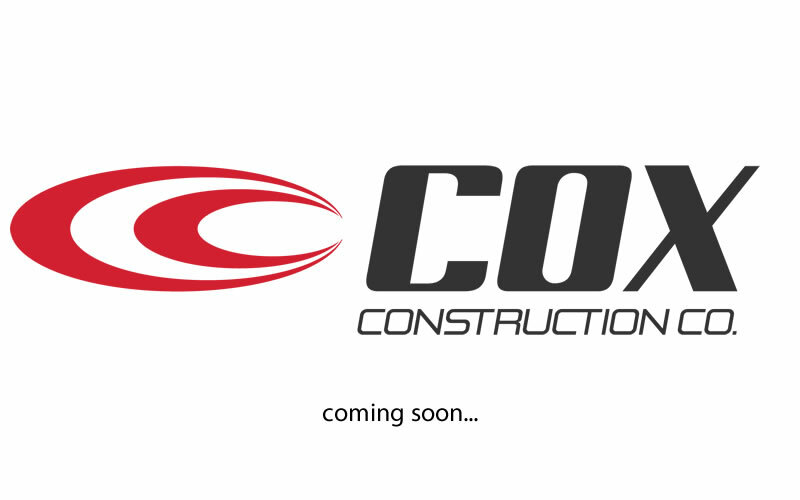 Cox Construction’s management of their staff and resources is professional and resourceful. Their company has the appropriate staff on site and at their home office to respond to contract requirements. Cox has good control and coordination of their subcontractors on site.